Lake Dunstan at the confluence of the Kawarau River (centre) and Clutha River (Mata-Au) at Cornish Point. Autumn colours. 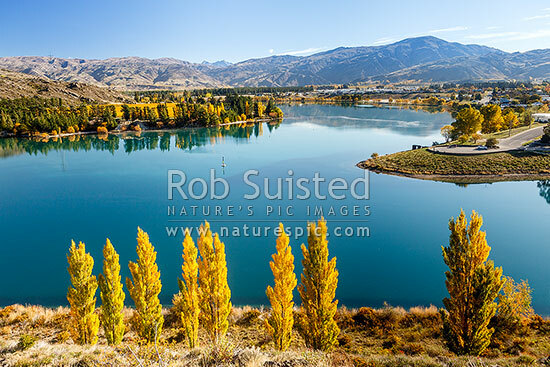 Carrick Range and Mt Difficulty behind, Cromwell, Central Otago District, Otago Region, New Zealand (NZ), stock photo.